Item # 302318 Stash Points: 4,495 (?) This is the number of points you get in The Zumiez Stash for purchasing this item. Stash points are redeemable for exclusive rewards only available to Zumiez Stash members. To redeem your points check out the rewards catalog on thestash.zumiez.com. 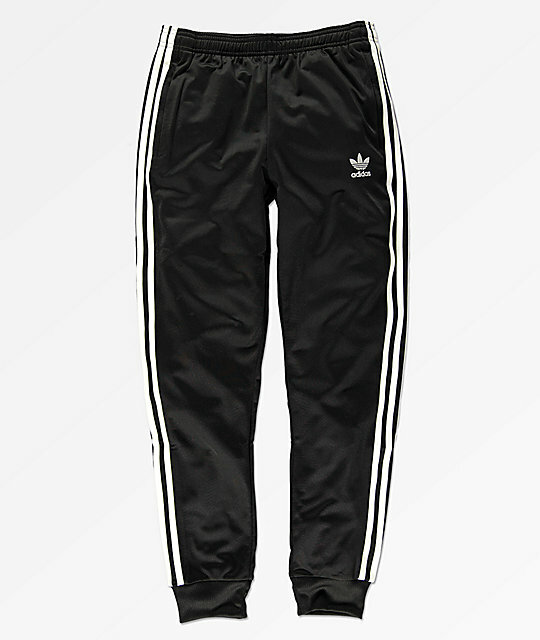 Show off a proud sports heritage with the Superstar black sweatpants for boys from adidas. With a relaxed fit for comfort, these black pants have signature triple stripes down the sides and a white adidas logo graphic on the left leg. Additional features include dual front hand pockets and an adjustable drawstring waist. 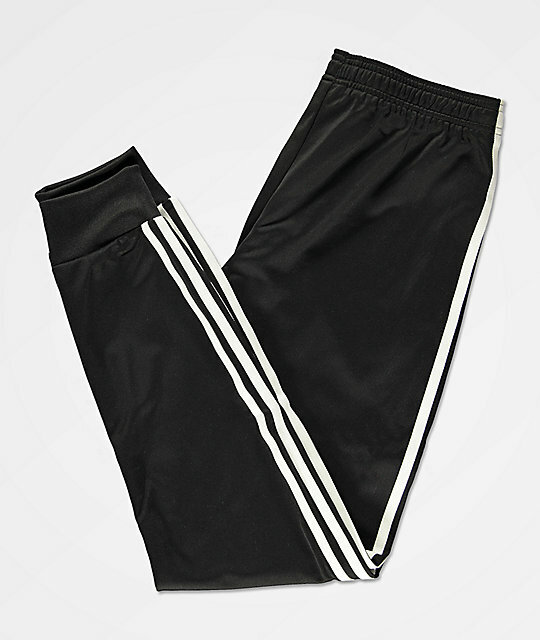 Boys Superstar Black Sweatpants from adidas. Relaxed fit, runs slightly large. White adidas logo graphics throughout.